See inside the world's most recognizable sails. Experience this miracle of architecture and engineering. A work of art that came into existence against impossible odds - to become one of the busiest performing arts centers in the world. Spend the day exploring this amazing city. When you arrive in Cairns, pick up your compact renatl car and head to Mission Beach and Castaways Resort & Spa. Recently voted one of the 10 Best Beachfront Resorts in the world, Castaways Resort on Mission Beach is absolute beachfront escape. 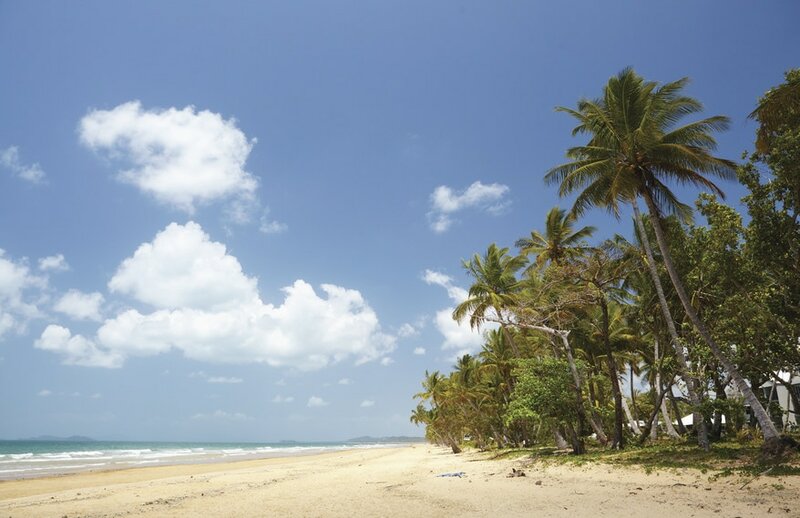 Ideally positioned on the white sands of Mission Beach and the sparkling Coral Sea, the Resort has spectacular views of the Coral Sea and Dunk Island. You’ll stay 3 nights here. Experience the amazing marine life found on the Great Barrier Reef. You’ll visit pristine reefs with minimal currents and great visibility. The depth of the reef around the snorkeling sites varies between 3 to 24 feet, offering our you a chance to discover the small creatures hiding in between the coral, as well as swim with the schools of fish and the larger marine life. Includes free snorkeling lessons and tropical buffet lunch. Spend the day relaxing by the beach or exploring the area. Return to Cairns Airport for your flight home.